D.G. Yuengling & Son is the oldest brewery in America. Four local brewing companies were named to the Brewers Association's top 50 lists based on sales for 2015. 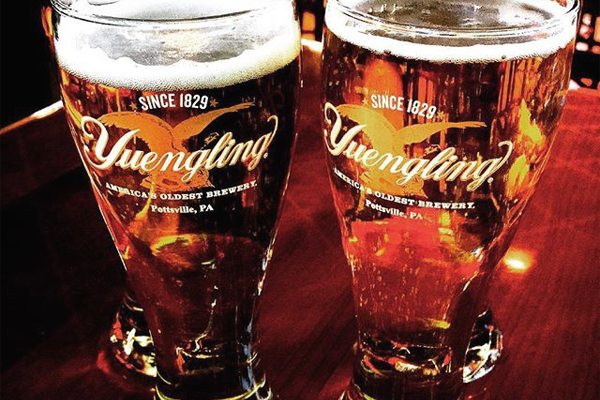 Yuengling, from Pottsville, Pennsylvania, earned top honors among the U.S. craft brewing companies for the second consecutive year, while Victory (Downingtown) and Troegs (Hershey) finished 26th and 45th, respectively. Dogfish Head, which brews out of Milton, Del., ranked 16th. Overall, Yuengling finished fourth behind Anheuser-Busch, MillerCoors and Pabst out of all U.S. brewing companies. Dogfish Head and Victory were ranked 23rd and 33rd. According to the association, 43 of the top 50 overall brewing companies were craft brewing companies.